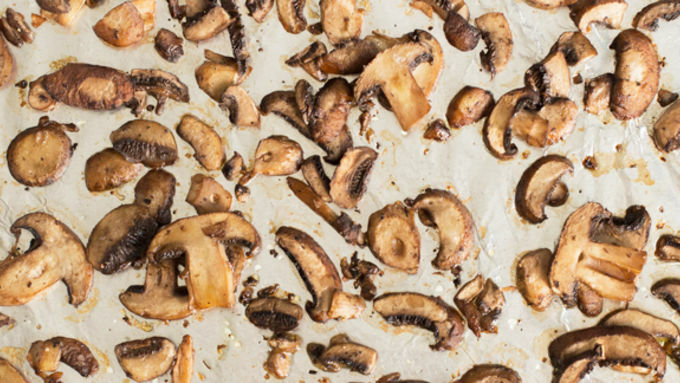 Toss mushrooms with 2 tablespoons of the olive oil and a pinch of salt and pepper, roast for 15 min. While they roast, make the sauce. 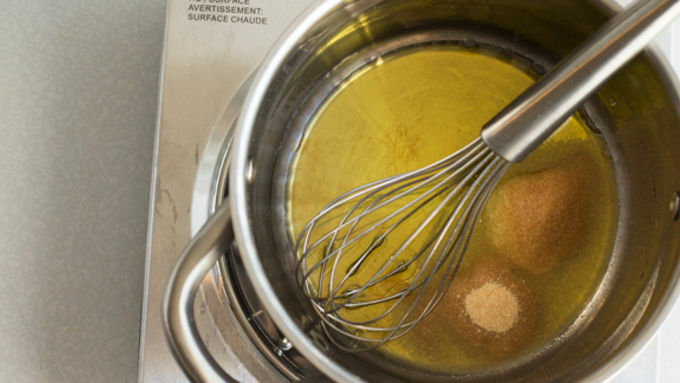 Combine the remaining 3 tablespoons of olive oil with the garlic powder, onion powder, kosher salt, and a couple cracks of black pepper in a medium saucepan. Turn the heat on to medium and warm the olive oil. You don’t want it super hot, just warmed up. 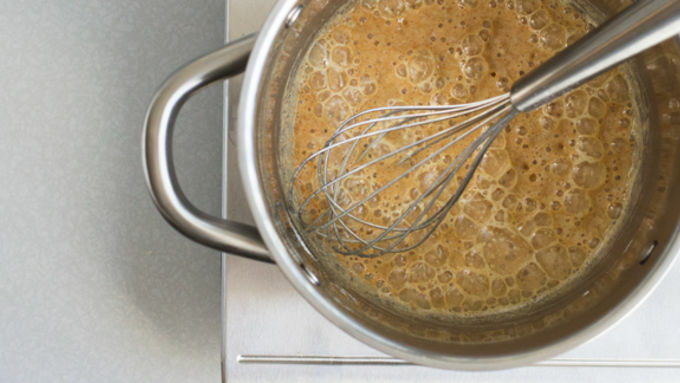 Add the flour, whisk to combine, and cook for about 3-5 min until color gets a little darker. Slowly add the almond milk while whisking and cook for approx. 5 minutes so it gets thicker. By now the mushrooms should be done so lower the oven to 350°F and add the mushrooms to the sauce with the green beans and the optional hot sauce. Place in a greased 8x8” baking dish and top with the fried onions. Bake at 350°F for 15 min, or until the onions get nice and toasty. Even though it might seem a long way away, Thanksgiving is right around the corner – waiting to peek-a-boo and stress everyone out, then put them in a food coma. One thing that might add to the mix is the growing number of family members that are either vegetarian or vegan. 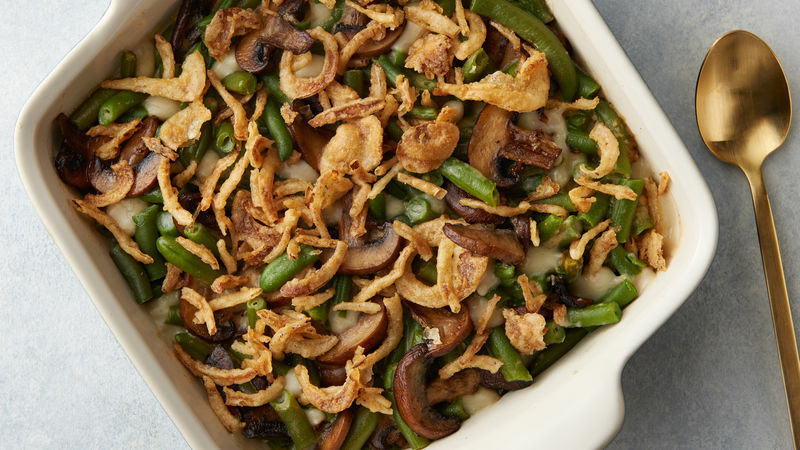 I’ve got a little help for that with one of my favorite Thanksgiving sides: Green Bean Casserole. But this version’s been veganized! 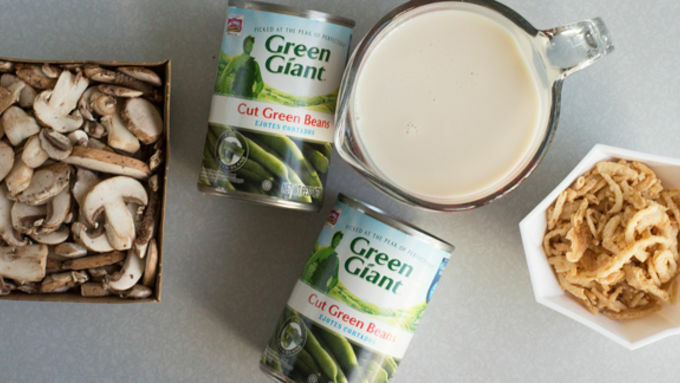 We’re going with almond milk for creaminess and Green Giant canned green beans (because I can only eat green bean casserole with canned beans). There are also some mushrooms that’ll get their roast on in the oven to up the flavor, because I LOVE ROASTED MUSHROOMS. Bake for 15 minutes and then it’s straight to the Thanksgiving table – or any dinner table, in fact. November’s vegan month, so go out and try something new!